3D rendered Illustration. 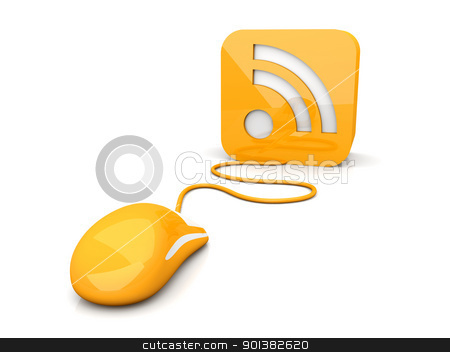 Clicking a RSS symbol. Isolated on white.